Need more information about booking Home 373999 ? This perfectly located and well appointed holiday home is a gem. On the ground floor the property benefits from an open plan Lounge leading into the Kitchen area, separate Dining room with seating for 4 adults, and a bathroom with a shower over the bath. 2 double Bedrooms are located on the mezzanine level with a semi open aspect over the living space. This apartment is within the City Centre and includes a private parking space and free WI-FI. An ideal place to stay whilst you explore the beautiful city of York..
LET US KNOW IF YOU ARE CELEBRATING AN OCCASION WHEN YOU ARE STAYING WITH US! PLEASE RING NIKKI 1 WEEK BEFORE YOUR ARRIVAL DATE SO WE CAN ADVISE YOU OF KEY DETAILS & PARKING..
£50 refundable deposit, bike hire is £15 per day & this includes helmets, lights & bike lock should you decide this is an easier option for you. 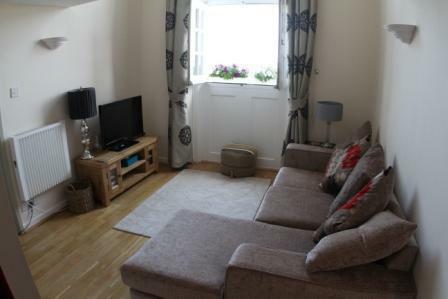 We are 10/15 mins maximum walk from York train station to the apartment, It is accessible by taxi also. The key code will be released to you 2 days before you are due to arrive & this will be done via the trip adviser website. If you do have any problems what so ever please contact myself or my partner using the phone numbers given. Please note that the property does have stairs to access the bedrooms, & please also note that the bathroom is downstairs. This Apartment has 2 bedrooms, 1 bathroom and sleeps 4. It’s been listed on Holiday Lettings since 29 Mar 2013. Located in North Yorkshire, it has 70 reviews with an overall rating of 5. The average weekly rate is £642. Great place to explore York. Everything near by . As you enter at Monkgate, Little Italy- lovely take away and meal. Ice cream parlour. Coffee and cake. Tapas and wine. That’s food sorted (not to forget Sainsbury’s) All attractions walkable for kids. JORVIK attraction expensive for a young family and our kids preferred Yorkshire and York museum plus the adults could read whilst the kids learnt and play. JORVIK and DIG don’t provide entertainment in same room allowing adults to read. All attractions and amenities of York are within walking distances of County House. The apartment is clean and spacious and all facilities are available. You can get in touch with Nikki (the owner) through the contact form on this page. Send Nikki (the owner) an email through the contact form on this page. Alternatively, if there’s a phone number on this page, you can call them. How do I contact Nikki (the owner)? If you’ve already booked, go to Manage your holiday booking to view Nikki the owner's contact details or send them a message. Or send Nikki (the owner) an enquiry through the Contact the owner/manager form if you’d like a quote or more info first. When you pay online through the Book your stay form, a booking request is sent to Nikki (the owner). You’ll find out within 24 hours whether they’ve accepted - no money will leave your account before then. You can also request a quote from Nikki (the owner) through the contact form. The owner will email you the total cost for your dates and a link to book and pay online. Use the Book your stay form to pay provisionally online. You can pay by credit/debit card or PayPal. Nikki (the owner) will have 24 hours to accept the booking and no money will leave your account before then. Why can't I call Nikki (the owner) before booking? You’ll need to contact Nikki (the owner) to do this. Send them a message in Manage your holiday booking or through the contact form on this page. You can request to change the dates or number of people on your booking via the Manage your holiday booking page. To change your holiday dates use the Edit booking button. If you need to change the number of guests staying then send Nikki (the owner) a message. If Nikki (the owner) agrees, they’ll send you a revised quote outlining the changes. You can review and accept/decline this from the Manage your holiday booking page. You’ll have 48 hours to take action before the revised quote expires.